Associate Professor of Piano Esther Wang performs a faculty recital Saturday and also is featured on the Nobel Conference 54 Concert Tuesday night. 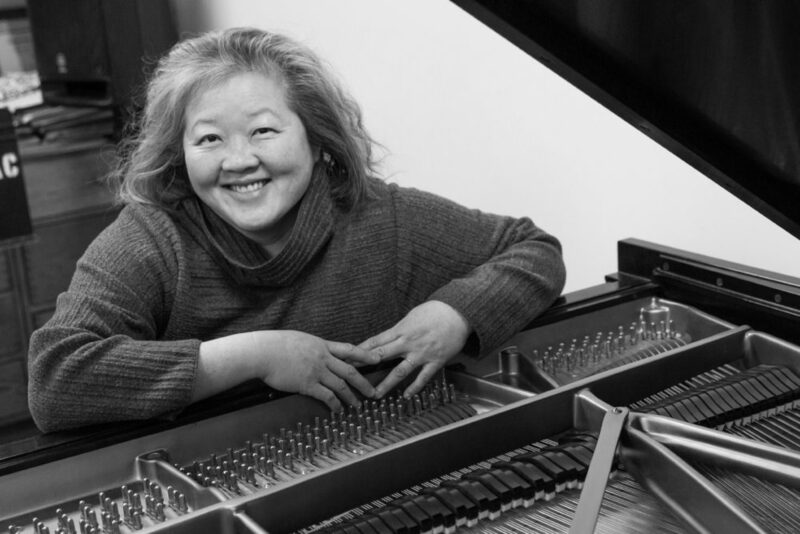 The regular concert season at Gustavus Adolphus College kicks off this weekend with a faculty recital from Associate Professor of Piano Esther Wang, as well as the annual Nobel Conference 54 Concert, featuring works inspired by the seasons. Also this weekend, the Gustavus Theatre and Dance Department, in collaboration with the Diversity Center, Chaplin’s Office, and Indivisible St. Peter/Greater Mankato present “Still We Rise”, a free conference for renewal and hope geared towards artist and activists. The Gustavus Adolphus Music Department is proud to present active soloist, collaborator, and faculty member Esther Wang in concert. She is accompanied by several other artists, including Gustavus student Emily Loken ‘20 (piano), Gustavus faculty members Peter McGuire (violin) and Justin Knoepfel (viola), as well as David Carter (cello) and Franklin Larey (piano). Pieces include Johann Sebastian Bach’s “Trio Sonata”, “Piano Quartet in G Minor, Op. 25” by Johannes Brahms, and two pieces by Gabriel Fauré, “Dolly Suite for Piano” and “Nocturne in D-Flat Major, Op.63”. The concert is free and open to the public. This innovative arts immersion workshop strives to engage community members in creative problem solving for the big issues of our time. Participants will have the opportunity to sing, dance, and leave refreshed and renewed. This event is for artists, art enthusiasts, and activists alike! The St. Peter Herald recently previewed the conference here. There is no cost to attend, but please register online prior to the event at GustavusTickets.com. This concert features four instrumentalists; violinist Taichi Chen, cellist David Carter, pianist Esther Wang, and soprano Emi Chen. The Nobel theme is soil, and what could better represent the earth than the seasons? The concert features pieces representing them all, including winter’s “Nocturne” by Lili Boulanger, spring’s “Violin Sonata No.5 in F major, ‘Spring’” by Ludwig van Beethoven, summer’s “Violin Sonata No. 1 in G major, Op. 78 ‘Rain Sonata’” by Johannes Brahms, and autumn’s “Fandango” by Asako Hirabayashi. The concert is free and open to the public.